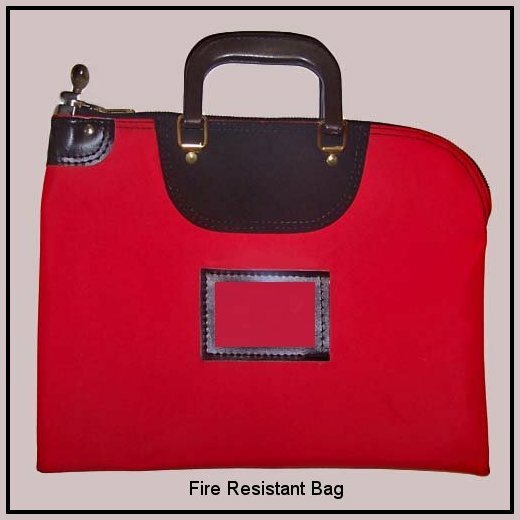 We manufacture various size locking and non-locking fire resistant bags. These bags are made from 1000 denier nylon and have a fire resistant liner sewn inside of the bag which can withstand temperatures up to 2500 degrees plus fahrenheit. 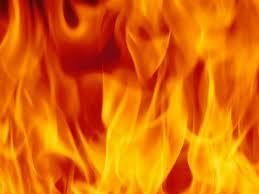 While we make no claim or guarantee they are "fire proof" and not sure anyone can given enough heat and exposure time, they certainly give a much greater degree of protection to important papers and items that would have no fire protection at all. No one can predict when a disaster could strike therefore it is always prudent to add additional layers of protection to important items. 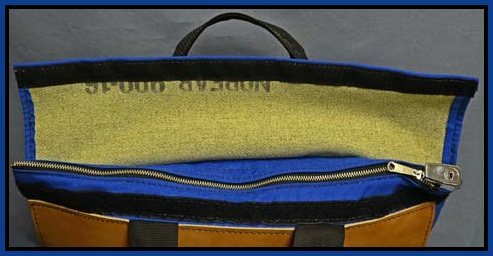 The two bags shown of this page are the most common styles we sell but as with all most all of our products we can alter or custom build bags for your specific needs. 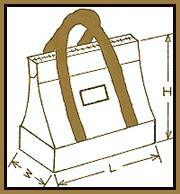 The red bag shown here is 19"w x 15"h ( inside liner 17"w x 15"h ) is are most popular for documents. This will accommodate legal size file folders. 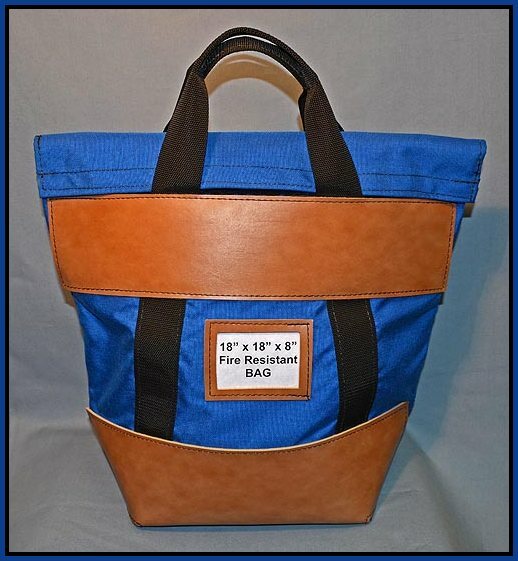 The larger heavy duty blue bag below is 18"L x 18"H x 8"D and is for larger or heavier items. 7" x 16" x 18"
7" x 16" x 24"
8" x 18" x 18"
8" x 8" x 24"
8" x 21" x 18"
8" x 21" x 24"
7" x 14" x 17"
7" x 14" x 23"
8" x 16" x 17"
8" x 16" x 23"
8" x 19" x 17"
8" x 21" x 23"